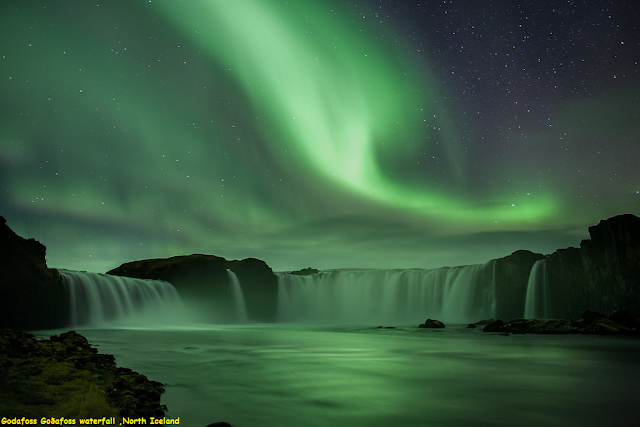 The Godafoss is a waterfall in Iceland. It is located in the Bardardalur district of Northeastern Region at the beginning of the Sprengisandur highland road. 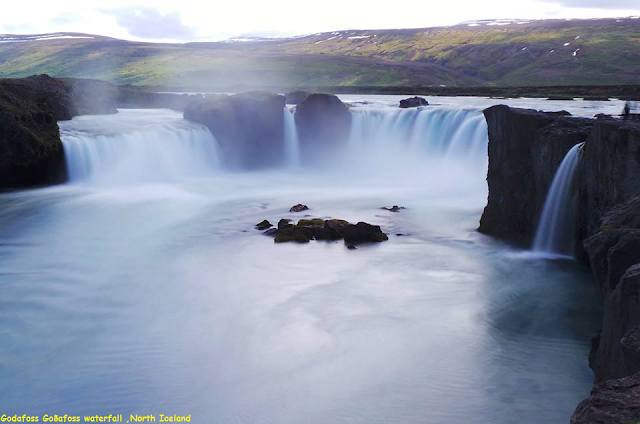 The water of the river Skjalfandafljot falls from a height of 12 meters over a width of 30 meters. The river has its origin deep in the Icelandic highland and runs from the highland through the Baroardalur valley, from Sprengisandur in the Highlands. If you are lucky you will be able to witness this Aura.